It has never been more important to invest in proper security for your business. Laws surrounding the personal data of individuals such as the General Data Protection Regulation (GDPR) put the onus on companies to ensure that both digital and physical copies of data are secure at all times. Gaining access to your property can provide criminals with the ability not only to steal physical items from your premises, but also to potentially infect computers with malware or access data through your IT infrastructure. 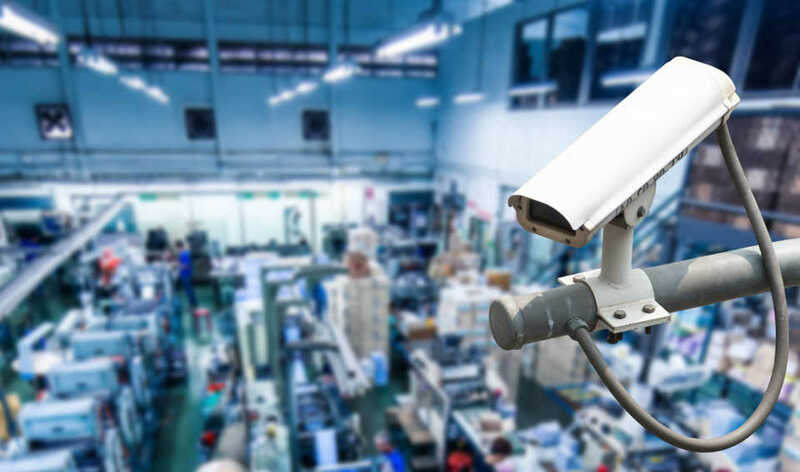 Here are six physical security measures that you can put in place to help keep your company secure. Clearly your business needs to have some method of access control to the premises. If you are based at a small office with single door for entry, a simple lock can be enough. But if your business has grown to the point where your premises are large with multiple ways to gain entry, it is important for you to utilise more advanced security. Your needs will depend entirely on your situation. This could include high-tech options such as finger-print scanning or could be as easy as a PIN-entry system. One great security measure that any business can implement is ID cards for staff. It’s a simple step to take that can be set up in an afternoon, but doing so ensures that anyone who wants to get access to your building needs an ID card. Not only can this function as an easy way for security staff to check everyone entering the building, it also makes anyone without an ID card stand out as the move around your premises. Whether you outsource or buy an ID card printer, the whole thing is surprisingly affordable, and the massive security benefit means that it is well worth doing. The car park for your property is a surprisingly vulnerable area, and it is important that you put the proper safety precautions in place. According to site security specialists Maltaward, car parks can be used as an area to conduct surveillance of your property. And if there is no access prevention, getaway vehicles can be parked right next to your building to allow criminals to escape in the event of a physical breach. There are a number of different steps that you can take to make your car park more secure. Aside from installing a barrier, you may also wish to ensure that there are no exit points (such as an area where the car could mount the pavement to escape the car park. These can be blocked with concrete barriers. Another great physical security feature can make a big difference to your business is add exterior lights. Lights might seem like a very simple security measure but you might be surprised at just how effective they can be. If you choose to have automatic, motion sensing lights installed, this will illuminate anyone in the proximity of your property after dark. Often the threat of potentially being seen is more than enough to put off a criminal from attempting to gain access to your property. Any form of surveillance can be a strong deterrent against criminal activity on your site. The first option here is to opt for some form of CCTV. While you might think cameras can only provide you with evidence of criminal activity in the hope of catching criminals, but in truth CCTV can actually deter intruders too. With clear signage in place you can show individuals that they are on camera and should not consider criminal activity. The second option is round-the-clock surveillance from a professional security firm. For some organisations this might be too much of an expense, so it can be a worthwhile idea to discuss the potential for a security patrol with other local businesses – this can help to spread the cost. Ultimately, one of the most important things that you can do for your physical security is to ensure that your staff take security seriously. If staff can keep an eye out for any suspicious activity and report it as soon as possible. Whilst staff should never be encouraged to challenge anyone, they can be a very valuable line of defence in terms of surveillance. Provide regular training sessions to your team about the importance of good security practice and the things that they can doing to help the business be more secure. About the writer: LW contributor Mike James is a Brighton, UK.-based cybersecurity professional, his 15 years IT experience, includes penetration testing and ethical hacking projects.